Patriotic Front cadre Julius Komaki has been fired from Zesco Limited for trying to expose corruption at the power utility company. A source from Zesco has disclosed that Komaki was fired after he gave a report to PF Secretary General Davis Mwila detailing all the ill deals at Zesco. When late Michael Sata became president he sent a number of his trusted cadres into institutions like RTSA, Zesco and ZRA. Komaki just like Judge Ngoma was sent to Zesco. Three months ago Komaki failed to secure an appointment with Edgar Lungu to hand over a report on corruption at Zesco but instead gave the report to Davis Mwila so that Mwila can hand it over to Edgar Lungu. But ailing Davis Mwila took the report to Zesco Limited Managing Director Victor Mundende who then fired Komaki. In exchange Davis Mwila is reported to have been given a farm by Mundende who also bought two motor vehicles for Mwila’s children. Komaki has since joined the team that is supporting Harry Kalaba and was one of the people that went to pull down PF Flags from Bus stations in Mansa. 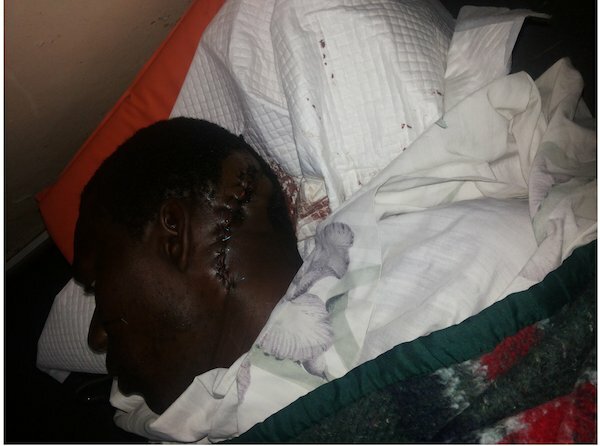 Komaki is a PF cadre that was almost hacked to death by fellow PF cadres at the peak of internal fights in PF before President Michael Sata died.